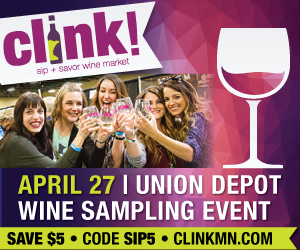 With over 170 breweries now pouring their beer in Minnesota, there’s always something new to try. 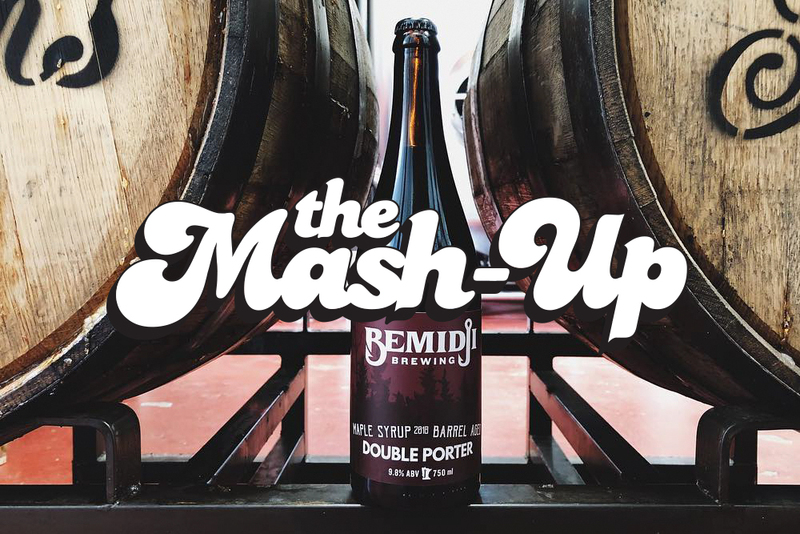 To keep you up to date, we present The Mash-Up—our weekly rundown of new beers and seasonal releases in Minnesota from your favorite local and national breweries. 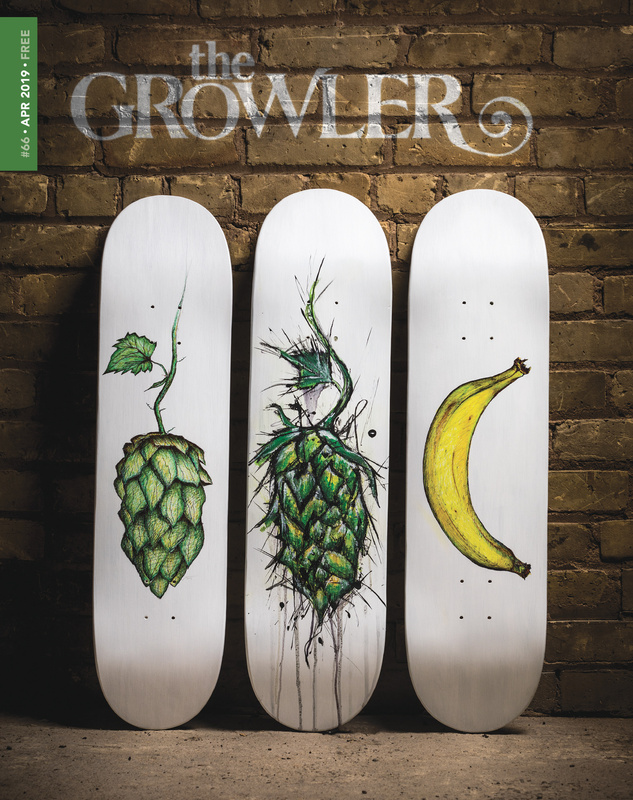 Visit growlermag.com every Friday for the latest or sign up for a weekly email. Fruit-dominated IPAs continue to rule the market, whether in hazy milkshake iterations or dry-hopped infusions. There are several new options available this week for fans of either style from Insight, Inbound, and more. But it’s also a “big” beer week, thanks to the release of Barrel Aged Darkness from Surly, Maple Barrel Aged Double Porter from Bemidji, and RISé from Broken Clock. Elsewhere, Fair State and Fargo teamed up for a hemp-based beer, Dangerous Man and Lupulin have a farmhouse ale collaboration, and Barrel Theory is bringing a one-off to Denver for the Craft Brewers Conference. Going into detail about what’s new can never be summed up in a paragraph or two, though. Keep reading for news from Burning Brothers, Bad Weather, Bauhaus, Funkwerks, Grain Belt, Lake Superior, and a whole lot more. Each week, The Growler’s editorial team highlights five of the most tantalizing new beers hitting taps and store shelves that we’re most excited to try. “Bright, sparkling strawberry meets fresh, dewy basil in this refreshingly sweet cider made with 100 percent Minnesota apples,” the cidery says. Made with strawberries and basil. Available April 12. A Norwegian farmhouse ale brewed in collaboration with Lupulin, who have a comparable collab on tap at their own brewery as well. For this ale, Dangerous Man explains, “We made a classic-leaning Norwegian farmhouse ale with a mix of bold German and American hops. Utilizing an extreme, very bold Norwegian yeast strain called Hornindal Kveik to meld it all together. The beer is crisp and citrus-forward with a touch of tropical notes, a kiss of smoke, and an undercurrent of earthy spice.” 5.7% ABV, 30 IBU. A French/Belgian-style rustic farmhouse ale that pours at 4.5% ABV and features clove and cinnamon notes. This new beer is a new addition to the core Bauhaus lineup. With tropical fruit and candied citrus on the nose, it’s a juicy pale ale with pillowy texture followed by a dry finish, the brewery says. 5.2% ABV, 40 IBU. A 9.8% ABV imperial porter aged for four months in maple syrup barrels that previously held bourbon. The brewery calls it a “rich ale bursting with notes of maple sugar, dried fruit, buttered toffee, and cocoa.” Available today in 750-milliliter bottles. Strawberry Pineapple Nordic-Shake – An IPA brewed with Norwegian kveik yeast to enhance its natural fruitiness, then with lactose, strawberry, and pineapple puree added. Sparkale – Newly available in cans and on draft, this is a 5.5% ABV rosé ale made with apple, cranberry, cherry, and peach juice. MN Nice IPA – This new beer taps today at the 612 taproom and hits liquor stores next week. Dubbed a “MPLS-style IPA,” it’s 6.0% ABV, 36 IBU, and features Minnesota-sourced malt and hops. “Offering a bright aroma and a slightly hazy-dandelion yellow appearance, this limited IPA boasts beautiful flavors of tangerine peel, wildflower honey, lemon pie, and pine,” the brewery says. SheeCat – A 3.8% ABV leichtbier. “Light malty sweetness, paired with a low hop bitterness makes SheeCat a light lager that doesn’t sacrifice flavor for its low ABV,” the brewery says. Unified Fund – A New England-style IPA with notes of lychee, papaya, tangerine, and grapefruit, the brewery says. 6.75% ABV. Epic Moose – A new wild rice beer debuted at a fundraiser for the Friends of the Boundary Waters last Friday. Smoke Rings – A smoked porter with coffee, chocolate, and dark fruit flavors, Bad Weather says. Hazy Like Sunday Morning – This IPA was made in collaboration with BSG and features Citra, Strata, and Nelson Sauvin hops. Available at the brewery, and also at Juno’s Bar at CBC 2019 in Denver. I Wanna Be Your Endgame – A new IPA made with Galaxy and Mosaic hops. Tropikus – A new hazy IPA made with passion fruit, guava, and grapefruit will make its debut at the brewery today, April 5, at 2:30pm. Chocolate Hazelnut Stout – A newly tapped Nutella-like beer. 6.1% ABV. On Tons – A limited, small batch double dry-hopped triple IPA showcasing the Galaxy hop variety. Taproom only. 2018 BA RISé – Broken Clock describes this barrel-aged Russian imperial stout as having “Mild chocolate and smoky roasted aromas. Rich dark chocolate, licorice, and wild berry flavors with a slight alcohol finish.” 10% ABV, 74 IBU. Available in the taproom and in a limited amount of bottles. Alakef Coffee Scwharzbier – Tapped last Friday, the same day that Canal Park introduced Crowler sales at the Duluth brewpub. Plumbus Amongus – A juicy New England-style IPA made with Citra, Idaho 7, and El Dorado hops. 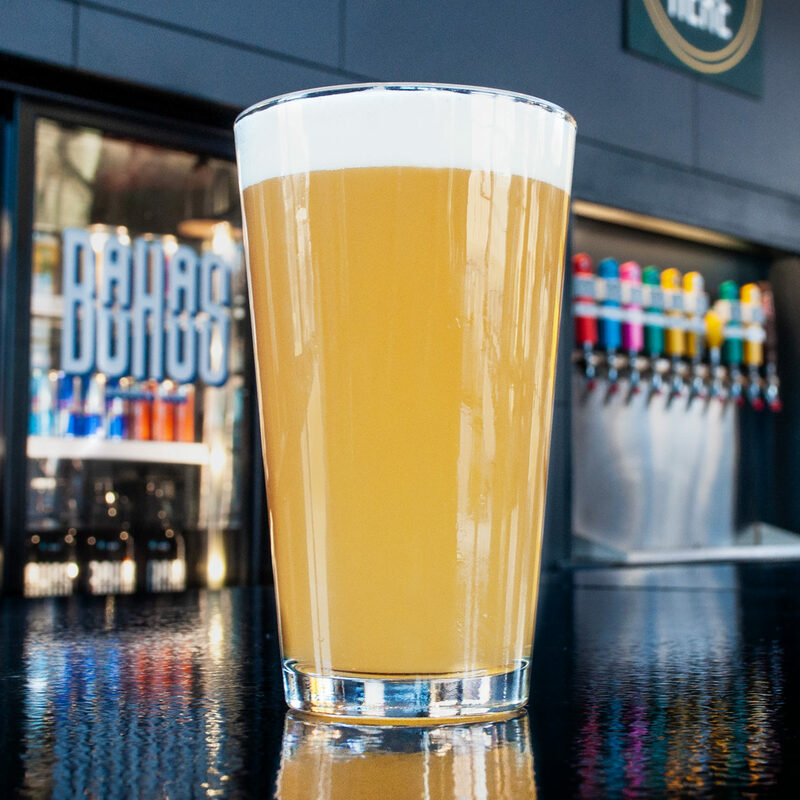 Cara Cara Honey Gose – A crisp gose that pours at 5.5% ABV, 10 IBU, and has notes of fresh-peeled oranges, stone fruit, and salt with a touch of stone fruit, the brewery says. Tangerine Lassi Sour – A 5.1% ABV, 20 IBU sour ale made in collaboration with Denver Beer Co. and inspired by Indian lassi drinks. “With gobs of tangerine, a hefty dose of coriander, a kiss of sea salt, and sprinkle of hibiscus this one melds everything together for a complex, yet approachable experience,” the brewery says. Zero IBU IPA – Tapped last month, this aromatic IPA uses Simcoe, Cashmere, and Southern Passion hops, but none in the boil. Shield Maiden – The 2019 Pink Boots Brew at Disgruntled is a dry-hopped rosemary saison that was created by a collective of women in the beer industry from Drekker, Fargo Brewing, Junkyard, Disgruntled, Bridgeview Liquors, Artisan Beer Company, and Front Street Taproom. Ope Sorry – A North Dakota collaboration with Half Brothers Brewing, this is a double IPA with oats, plus Sabro, Ariana, and Monroe hops. Roller Dames IPA – Brewed for International Women’s Day, this IPA has herbal and citrus notes and all proceeds benefit the Harbor City Roller Dames derby team. Cuba Libre – An imperial stout inspired by the classic rum & cola with lime cocktail. “We achieved this by making a cola syrup from kola nuts, citrus zest, cinnamon, nutmeg, coriander, and vanilla and adding it to a rum-barrel aged stout,” Fair State says. It tapped last weekend. Hard Water – A new hard seltzer made with real ingredients that keep the effervescence of seltzers with add distinctive colors. Available on tap and in cans, currently in two flavors: Lemongrass + Ginger + Lemon and Hibiscus + Orange Zest. Zoot! – Tapped on Thursday, this new beer is a lime and grapefruit-infused witbier that is lightly acidic and fruity, the brewery says. Available in liquor stores soon. 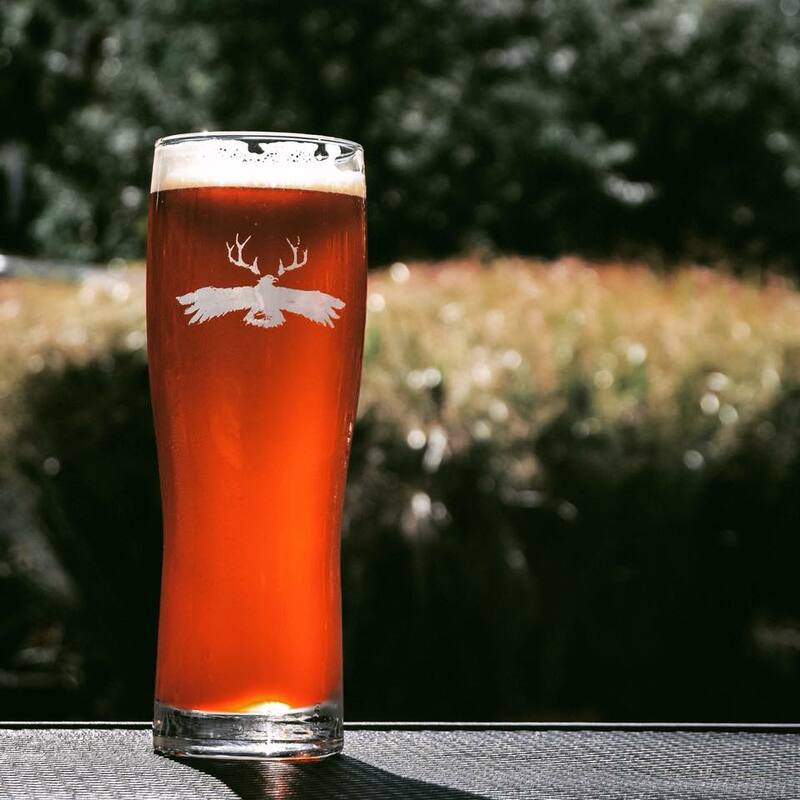 Hippy Feet – Another Fair State-tied beer on the list, this collaborative beer made by Fargo is a “Hemp Heart IPA” that makes this beer earthy, lusty, and green in flavor with strong herbal notes. Tangerine Haze Craze – Available in 6-packs and on draft. Passion Fruit Provincial – “This beer exhibits a flourish of tart passion fruit flavor from real fruit,” the brewery says. 4.2% ABV and draft only. The latest in the Provincial series. White – An opaque pale Belgian-style wheat ale with a creamy white head, notes of orange zest, and hints of coriander and chamomile, Funkwerks says. 4.8% ABV. To be available year-round in bottles and on draft. Ruth Bitter Ginsburg – A British-style SPB that Giesenbräu says is balanced with biscuity, earthy, fruity, and bitter qualities. Southwest Cerveza – A crisp, Mexican-style lager that’s described as dry, refreshing, and with a subtle lime flavor. Thirst Burst – A 4.6% ABV, 8 IBU sour smoothie. Lavender Grapefruit Gose – Tapped on Thursday as part of the brewery’s Beyond the Door series. Mango Milkshake Sour – New in the Pastry Ale series, this gose with mango, lactose, and vanilla pours at 5.5% ABV, 20 IVU. Hop Dab IPA – A new one-off IPA made with Mosaic, Citra, and Ekuanot hop oils. Indeed says it’s crisp, clean, and aromatic. Available in 4-packs and on tap. Llewd Llama – Seven Curses of the Llewd Llama is a milkshake IPA with Peruvian golden berries. At 6.1% ABV, it’s hazy with a soft mouthfeel, offering golden berry notes, plus hints of pineapple and mango, grapes, citric acidity, and a touch of bitterness at the finish. River Bender – This new option is a West Coast-style IPA that the brewer says is light in body with big hop notes. Chocolate Bock – On tap at the brewery for Firkin Friday on April 5. Flamingo Dreams Nitro – Previously announced in the brewery’s 2019 brand calendar, this pink nitro ale with berry notes is out now. Kentucky Coffee Barrel Cream Ale – A new cream ale that was brewed with coffee and aged in bourbon barrels. “This brew has a pronounced coffee flavor unique to a cream ale, with just enough bourbon sweetness to balance the notes of bitter coffee,” the brewery says. 5.5% ABV. Garth Brooks Juice Diet – A hazy Double IPA. What She’s Having – A 6.4% ABV, 59 IBU New England-style IPA with “tropical fruit, dankness, and a hint of coconut,” the brewery says. Luna Wolf – Pink in color, this is a 4.5% ABV, 21 IBU French-style saison with a hint of fruit flavor. Squawk of Crows – A 5.5% ABV, 28 IBU nitro porter with hints of chocolate and coffee along with a creamy sweet finish, the brewery says. Fun Pants – A 5% ABV Kolsch, available at the brewery. Dirty Magic – This is a 6.5% ABV, 22 IBU bock with toasted bread and caramel notes, described as a springtime patio crusher by the brewery. Joke’s On You – A non-alcoholic version of Rubbish Scottish oat amber ale. Now available at the brewery. Still Gonna Send It – This sour milkshake IPA is described as citrus tartness up front with notes of melon, mango, fresh berries, and a touch of lactose. 5.4% ABV, 32 IBU. Irish Stout – A dry Irish stout. 6.3% ABV, 30 IBU. Something Something Something Dark Side – A 4.9% ABV, 25 IBU oatmeal stout with cacao nibs. Oh! You Witty Things – A dry-hopped, kettle sour Belgian wit to be sold in 4-packs of 16-ounce cans, the first O’so cans to be available in Minnesota. Main Squeeze – Pryes’ blonde ale infused with natural lemon and lime flavors. Also available in cans. Cashmere Milkshake IPA – A Cashmere-hopped milkshake IPA with added lactose and vanilla. Smoothie Sour – A triple berry sour ale with blackberry, boysenberry, and blueberry juice, plus an added touch of lactose to smooth things out. Peanut Butter and Jelly Infusion – Tapped this week at the Brewhall. Quaken in My Boots – A new oatmeal stout. Cabin Crusher – A new Kölsch-style ale brewed with lime peel and lime puree. Available at the Ratskeller now and in the Block Party variety pack soon. Slugfest Juicy IPA – An unfiltered IPA that highlights current American IPA trends and connects with Summit’s classical European approach to brewing. Summit says that “Slugfest is balanced by malt notes of toast, English biscuits, and bread crust,” plus hoppy notes of tangerine, melon, and lemon. Available in the Block Party Box variety pack now, with a full release in May. Lost in Translation – A New England-style IPA made with Citra, Mosaic, and El Dorado hops. Crowlers are available at select metro stores. Promise! – A new West Coast-style IPA made with Golden Promise barley, plus Simcoe and Hellertauer Blanc hops. Pineapple Petite Sour – Tapped on Tuesday at the brewery. Limited supply. High Rye – A rye ale with floral flavors, caramel, clove, and a rich spicy finish, the brewery says. Enkel Bitter Trappist Single – The winner of the Autumn Home Brew Competition, brought to public release. 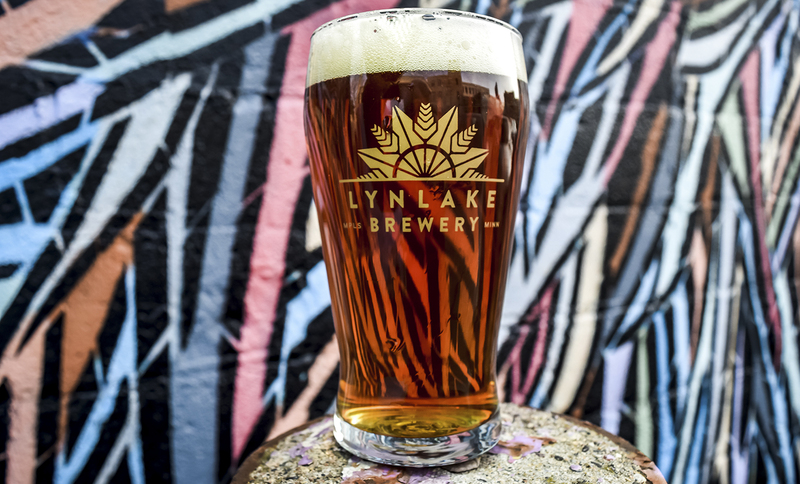 Loch Waconia Export – Scottish ale, on tap now. 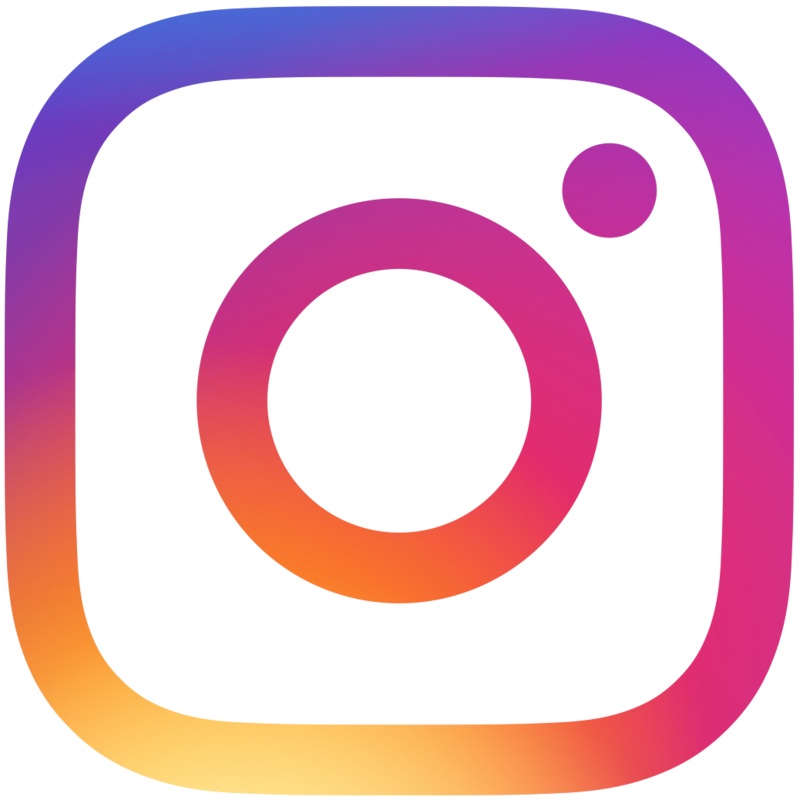 Obscenity – “Obscenity was never boiled. Instead, the beer was brought to 180°F for a whirlpool addition of Rakau hops before being cooled for primary fermentation at above 90°F with Norwegian kveik yeast. To accentuate the yeast’s tropical flavors, the beer was dry-hopped with additional Rakau,” the brewery says. Square One – A new saison, open-fermented to capture native, local microflora in the yeast culture. Maibock – Tapped on Tuesday. Blood Orange Traitor – On tap at the brewery for a limited time. DDH Chazz Michael Michaels – An exclusively Simcoe-hopped IPA, double dry-hopped. DDH Shooter McGavin – A double dry-hopped version of the Cita-hopped IPA. Tribute – The summer IPA is out now. Nordic – A Sahti-style rye ale. Making its return on April 5. Electric Mayhem – An IPA with notes of pine, passionfruit, and peach. Rally Drum Red Ale – Back for baseball season. #11 Pilsener – A German-style Pils. #5050 Hefeweizen – A 5.8% ABV, 18 IBU German-style wheat ale. #96 Blueberry Pale Ale – This is a pale ale infused with 900 pounds of blueberries. 5.7% ABV, 36 IBU. Honkin’ Red – Tapped last week. Good Juju – A 4.9% ABV ginger pale ale. Goosetown – A German-style gose with coriander and salt, which has a light, citrus tartness, and a bready malt bill. Hefeweizen – Schell’s hefeweizen is back. This wheat ale offers a slight citrus tang and faint clove notes. Shocked – A light grapefruit lager. Available the first week of April. Barrel-Aged Darkness – The days may be longer, but there is still Darkness. Available in 750-milliliter bottles. Lingonström – The lingonberry cream ale is back now, including in local liquor stores. Ripple Blueberry – Coming soon, the brewery says. Trampled American Golden Ale – Bent Paddle Brewing Co. partnered with Trampled by Turtles to create a collaboration beer—Trampled American Golden Ale. “Trampled American Golden Ale is 4.6% ABV with a golden / straw color with a not-too-sweet malt profile and is dry-hopped for a fresh hop flavor on the end,” says the brewery. It will be “pre-released” at Bent Paddle’s 6th annual Festiversary on Saturday, May 11, at the brewery, with a full release on May 13. Pink Guava Shandy – A new 5.3% ABV shandy will tap April 8. Scotch Ale – A new 8% ABV Scotch ale it set to tap on April 16. Almond Milk Stout – This lactose-free stout will be available year round beginning this summer, the brewery announced in a recent newsletter. Sour Haze – Another April 20 release, sour haze uses Eastlake’s sour base with heavy dry-hopping for notes of passion fruit and guava. 4.8% ABV. 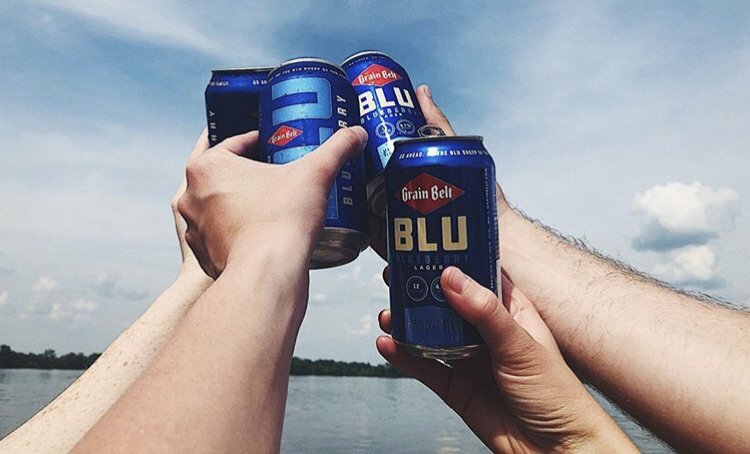 Blu – This blueberry version of classic Grain Belt will return next month. Strawberry Rhubarb North Shore Wheat – On tap at the brewery for Firkin Friday on May 3. Triple Mango Riptide – A 10-gallon batch of Riptide will be infused with fresh fruit and on tap on June 7, the brewery says. Apricot Blonde – “On the horizon,” according to a recent brewery newsletter. Fjord Stomper – An 8.75% ABV double IPA to tap later this month, the brewery says. Fruitsmack – A new series of limited IPAs will be hazy with a soft finish and minimal bitterness, Lupulin says, using a different fruit in each batch. The first batch will feature raspberry and vanilla. 6% ABV. Hooey – This 6.2% ABV hazy IPA will return this month. Imperial Coconut Truffle – A 9% ABV imperial porter with chocolate and coconut. Lateralus – Coming this month, Lateralus is an 11% imperial stout. Sterkt Fyr – A soon to release 7.1% ABV Norwegian farmhouse ale brewed in collaboration with Dangerous Man. Straight Hash Homie – A hop hash double IPA, available on 4/20 at 4:20pm. Herd of Turtles – A desert stout that taps on April 23. Trumpter Swan Saison – To tap on April 16 at the brewery. 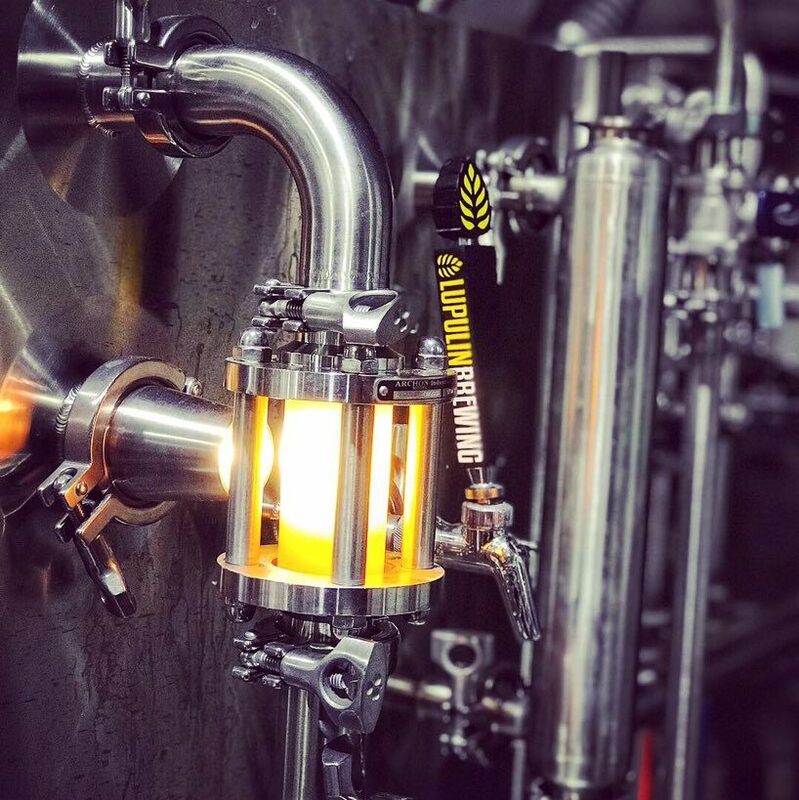 Waheela – A coffee ale made in collaboration with Otso Cycles in Burnsville and Chaska’s Driven Coffee Roasters, scheduled to debut on April 27. Salted Nut Roll Ale – Following the success of Nut Goodie Porter last fall, Tin Whiskers has teamed up with Pearson’s again for another candy-inspired beer. Brewed with peanut butter, white chocolate, and salted caramel, this is a light-bodied ale with moderate sweetness and subtle saltiness, the brewery says. It debuts at the Minnesota Craft Beer Festival on April 13, taps at the brewery on April 19, and will be in cans in late April or early May. Maibock – This spring beer debuts at Waldmann’s first annual Maifest on Saturday, May 18. Honeycomb – Returning later this month, the brewery says. Curious about recent releases? Peruse our Mash-Up archives. Did we miss a beer release or announcement? Email us at newbeer@growlermag.com to let us know about new beers from this week and beyond. Or let us know what new beer you’re enjoying by using #TheMashUp on Twitter and Instagram.